Track the most important metrics for the software industry. As a data-driven organization that uses business intelligence tools and techniques to monitor and investigate various aspects of your company – sales, marketing, operations, etc., you might find it useful to also measure the implementation, success and usage of the BI platform within your organization. One of the key indicators of the value of a product is its engagement rate. 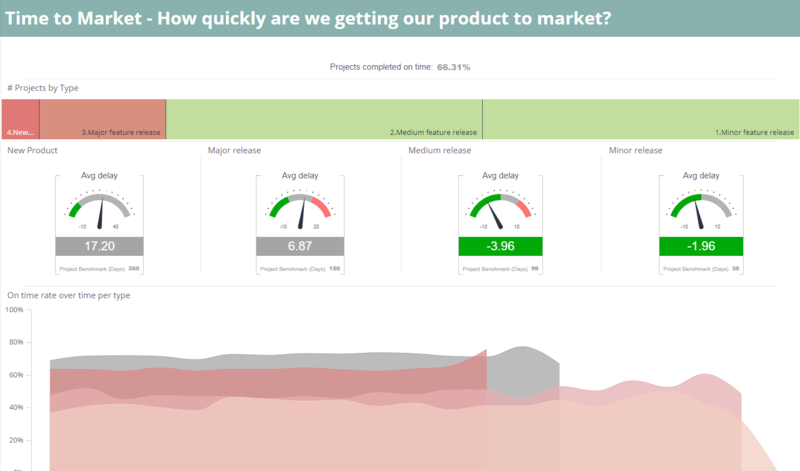 This indicator measures how frequent and consistent the product is used by its target users and whether they keep coming back to use the product. 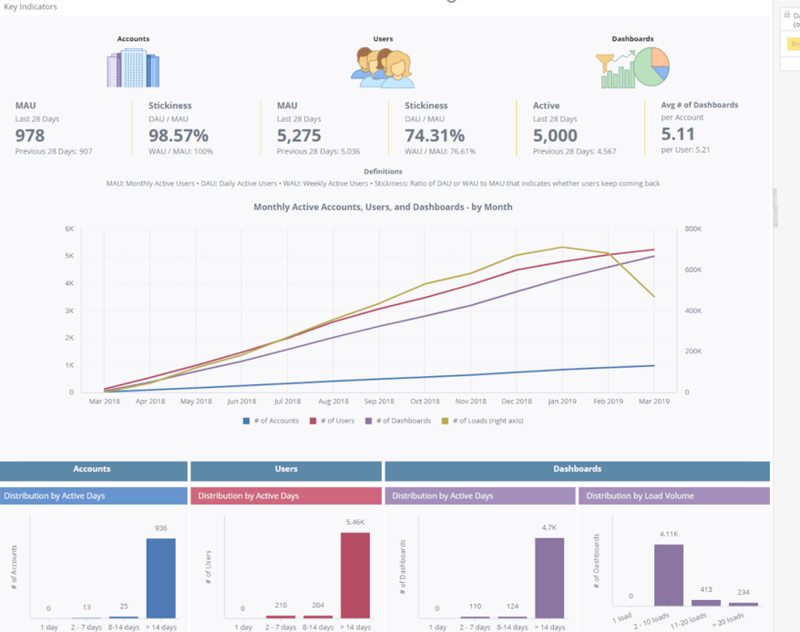 In this Product Usage / User Engagement analytical dashboard, the product is a form of dashboard (or a software module, or a website page) and the users are the registered accounts (companies) and their individual users. 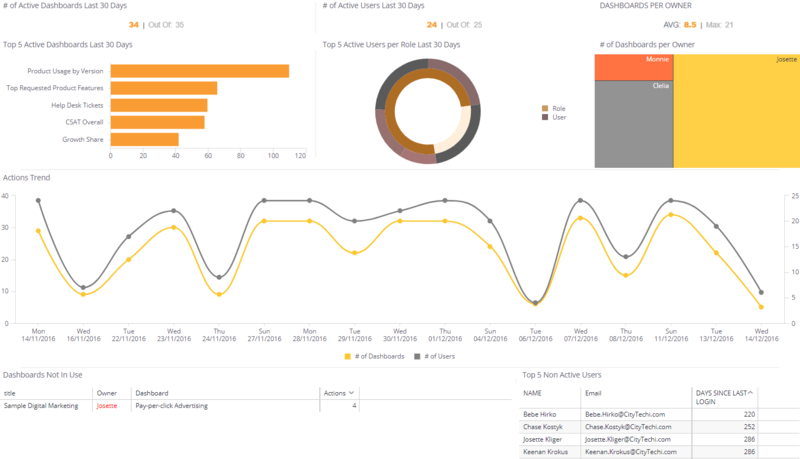 By looking at this dashboard, engagement managers, customer success managers, and similar roles will be able to monitor the product-user engagement over time.